It's not unusual for an artist, whether an amateur or a professional, to have ups and downs in their creativity. In fact, it's perfectly normal. Suffering from a creative drought, or artist's block does not mean you're losing your artistic ability. You're just going through a temporary slump, that you will overcome. Every artist has to tackle this issue and there are a few ways that can get you over the slump. Creativity can take a lot out of an artist and slumps are par for the course. You can be going strong and paint canvas after canvas for months, only to hit a brick wall where nothing seems to happen. This is not the time to panic, instead, it's a time to reflect. Many painters have found that their creative slumps are actually beneficial. It gives your mind a rest and allows you the freedom to think of new ideas, contemplate a different approach, or begin a new body of work. Don't think of a slump as a failure, it is simply another aspect of learning and growing, which is something artists are constantly doing. Is your slump caused by personal complications like illness or a bad relationship? It can be very easy to give up on your artistic endeavors when your world seems to be crumbling, but this is one of the worst times to stop. Many artists find that their work becomes a sort of therapy in times of trouble and a place to work out feelings. Turn your sorrows around and use them to your advantage, there's always a better day ahead. Who knows, you may even create some of your best paintings. Having a designated purpose or intent for a painting is not always the best approach. 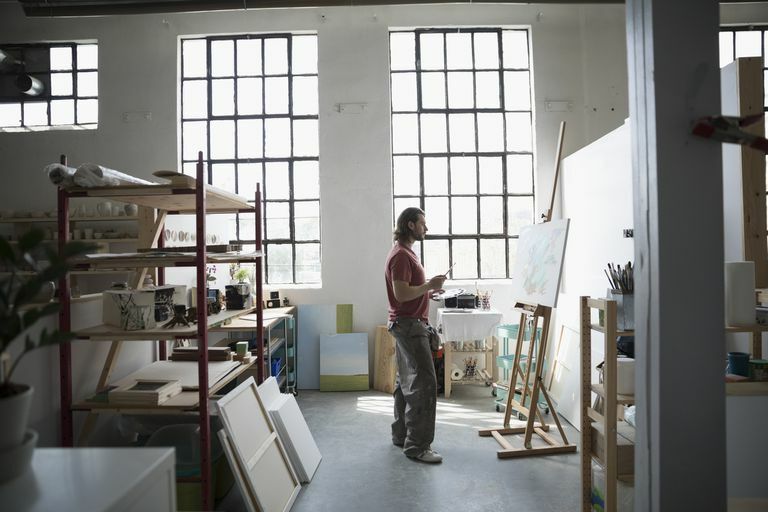 As artists, we can often get trapped into a mindset of creating for sales or exhibitions. What will other people like? Will the gallery accept a different style or medium from me? Can I pay the studio rent? These are common worries with artists and they can significantly impact the flow of creativity. Stop all of that and simply create. Pick up a pencil and sketch at the park or grab your old camera and go take photographs downtown. Paint the walls, play with clay, sculpt something... just create! As we grow as artists it can become more and more difficult to remember to have fun with art. That is why taking a break from your standard medium or style can be such a relief. Sometimes, you just need to let go and, honestly, act like a kid again. Think of the world without adult preconceptions or worries and simply make something. Use this time to explore and refine your techniques as well. Maybe you'd like to hone your skills on figurative painting or you have been eyeing oils rather than the acrylics you've been working with. You can learn a lot during a slump if you just give yourself the opportunity. Don't take on anything too big. Stick to small, fun projects that will remind you why you pursued the artist's life in the first place. Some of our biggest fears come to life when we isolate ourselves. One of the best ways to break free from a creative block is to get out of the studio. Remember that you are not alone as an artist and you are not the only one who's ever felt this way. Go to the local art center and join a painting class or group. Call up a few friends, meet for coffee, and have a sketching session. Visit a friend's studio and see what they've been working on. Invite a fellow artist to your studio to critique your latest canvas. Attend an exhibition and artist's reception and talk to people. You will be surprised how the smallest, most insignificant interaction can impact your creative drive. There are times when you simply need a break from the canvas in front of you. Artists need time off just like everyone else and we often have to force ourselves to put down the brushes and stop. We are, after all, very dedicated and sometimes too much for our own good. If it isn't working, there's no need to keep trying as that only leads to more anguish. Distractions are all around you and you know this very well if you've ever tried to paint on a deadline! Your creative slumps are the time to embrace distractions and cherish them for the relief they offer. Take your dog for a walk, hop on your bike, go play in the garden, or simply go sit in the woods and observe nature. The outdoors can be extremely therapeutic and you never know what inspiration awaits you out there. Turn on some funky music that makes you dance and smile and clean up your studio. Redecorate a bit or pull out an old canvas and play with mixed media for your wall. Feed your creativity through your space and enjoy the energy. Artistic inspiration is everywhere and you can use your slump to make new discoveries. Visit the local galleries and museums, stop by the art store, or browse art books at the library. Make an attempt to keep art in your life in some way and you will be one step closer to digging out of your slump. You can also use this time to find inspiration in other mediums. Novels are filled with dramatic descriptions, so start reading a new book and escape into its fantasy world. Review old photographs and recall how you felt there. Remember to keep a sketchbook with you on your adventures. You never know when an idea will hit or a scene captures your eye. Get these down on paper right away before they get lost. One of the worst things you can do during a creative block is to ignore your working space. It can be tempting to shuffle right by the studio and try to ignore that unfinished canvas, but avoiding the problem does not solve it. Remember that this slump is only temporary and it will pass. 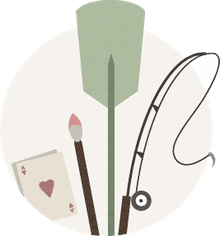 Prepare yourself for the moment it does by prepping a canvas or two, setting out your paints, ensuring all your brushes are ready to go, or working on a new color chart. Often, just having your creative tools around you can fuel your fire. You will quickly find that a little forethought in preparing and organizing your workspace does wonders. Many artists have felt the pain of not being ready when the slump suddenly ends and, frankly, it can be a bit painful. You want to paint but you have ten things that need to be done first, not to mention that unprimed canvas! Fix that and anticipate the creative spark.